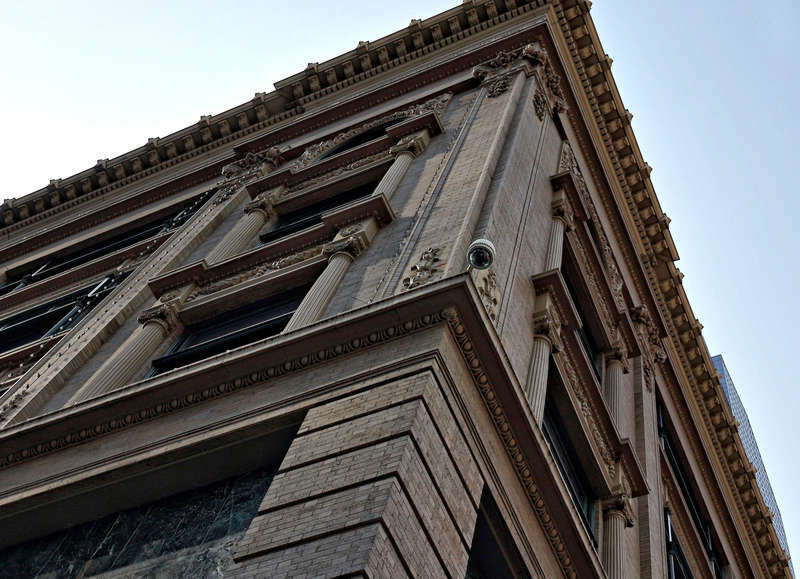 George Draper Dayton built the 6-story department store on the corner of 7th and Nicollet. The store replaced the first Westminster Presbyterian Church, which had burned down. Built in Renaissance Revival style, its decorative details are borrowed from ancient Greece and Rome, and its overall form is reminiscent of 15th-century Italian palazzos. Dayton originally leased the store to a company called Goodfellow’s, but by 1903 he was the sole owner and renamed it Dayton’s Drygoods Company. 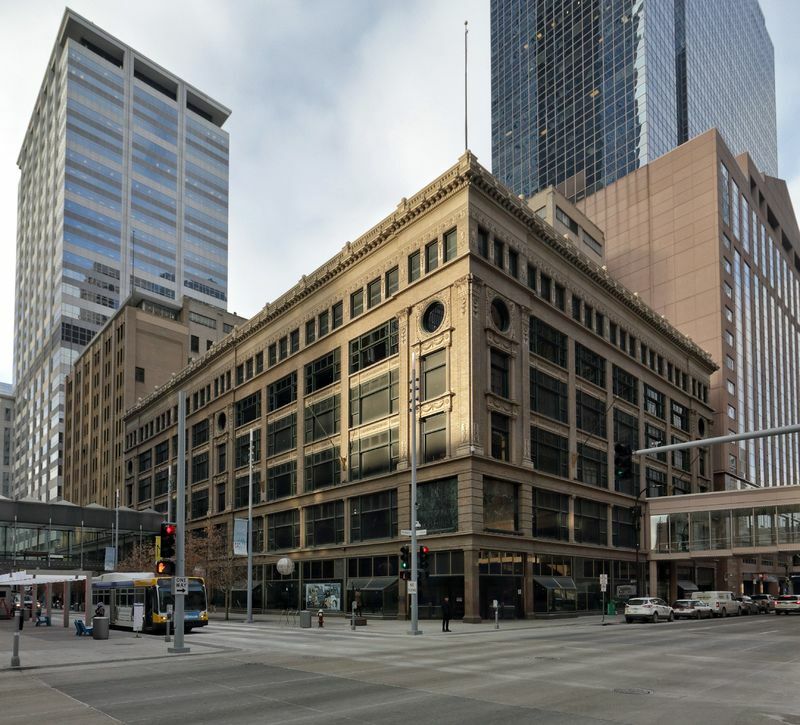 The 12-story addition at 8th and Nicollet was built from 1916 to 1929 and was renovated in 1937 and 1947. Over the years, the company expanded and merged with other companies, notably Marshall Fields. At one time, it owned 73 department stores throughout the United States. In 1962, the company opened its first Target store and in 2000, in recognition of the strength of that business line, changed its name to Target Corporation. The Nicollet store location became part of the Macy’s chain in 2004, and closed in 2017. Whatever the name on the door, the Dayton company has been more than a powerful and innovative retailer. It also has come to be much beloved by Minnesotans, in large measure because of the Dayton family’s dedication to philanthropy, which has benefited many arts and cultural institutions. The Daytons pioneered corporate giving, inaugurating the practice of donating 5% of their profits back to the community. Both the Minneapolis Institute of Arts and the Walker Art Center have received significant monetary and artwork gifts from the Daytons. In recognition of Dayton’s impact on retail and the community, the 601W Companies, which now own the building, have christened the redevelopment effort now underway on the site the Dayton’s Project. 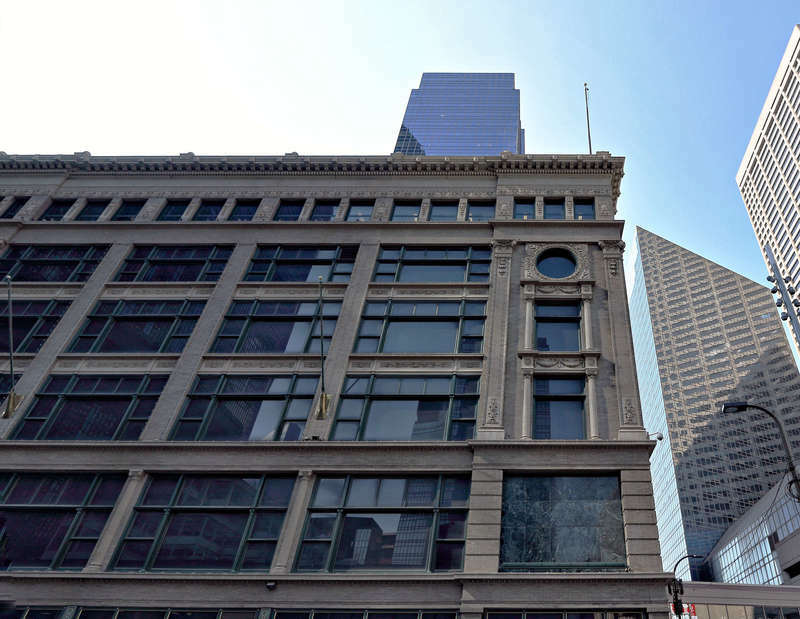 A complete renovation of the building and connected properties (totaling 1.3 million square feet) will feature a mix of retail and restaurants, including a food hall, on the first couple floors with office space above. 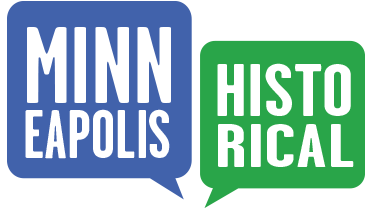 Richard L. Kronick & Lisa Middag, “(formerly) Dayton's Department Store,” Minneapolis Historical, accessed April 18, 2019, http://minneapolishistorical.org/items/show/164.